An idea is being spread among the faithful by the messages of some claimed private revelations and by various websites and authors, that there is such a thing as a generational curse. The claim is that the sins of our ancestors become a type of curse that is inherited by their descendants, and which must be expiated by various prayers, penances, special blessings, etc. This idea is entirely incompatible with the teachings of Sacred Tradition, Sacred Scripture, and the Roman Catholic Magisterium. There is no such thing as a generational curse. 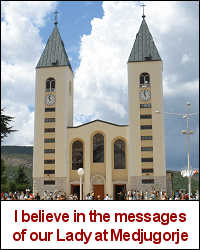 The very concept is contrary to basic teachings of the Church. Concerning morality and culpability, each person is guilty only of his or her own knowingly chosen acts. The Magisterium teaches that a person only sins if he or she knowingly chooses to commit an immoral act. Sin is a personal act, an exercise of intellect and free will, a knowing choice to do what is known to be wrong. We have no culpability for the sins of other persons. At conception, the soul is directly created by God. God does not create a soul that is cursed. Even though we inherit original sin, in that the soul is not created in the state of grace and the body is in the fallen state, we are not cursed from conception, nor from birth. Baptism not only purifies from all sins, but also makes the neophyte “a new creature,” an adopted son of God, who has become a “partaker of the divine nature,” member of Christ and coheir with him, and a temple of the Holy Spirit. 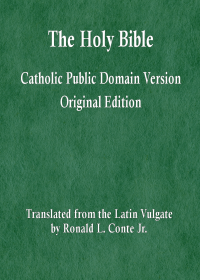 (Catechism of the Catholic Church, 1265). The claim that a generational curse remains in anyone, but especially in the baptized, is a grave doctrinal error. The Scripture passages used to support this type of claim are merely referring to the tendency of any individual to be influenced by the sins of others, by the sins of family members, and by the sins of society. The sin of any individual has bad consequences for family, friends, the Church on earth, and society in general. But there is no such thing as a generational curse. Gallery | This entry was posted in claimed private revelation, doctrine. Bookmark the permalink.